The Chrysler 300C has given local manufacturers Ford and Holden some unwanted competition, already outselling the Fairlane this year and giving the Statesman a run for its money.The Chrysler 300C has given local manufacturers Ford and Holden some unwanted competition, already outselling the Fairlane this year and giving the Statesman a run for its money.Now the US company is chasing Holden Special Vehicles and Ford Performance Vehicles with the release of the high-performance Street and Racing Technology version of the 300C this week. 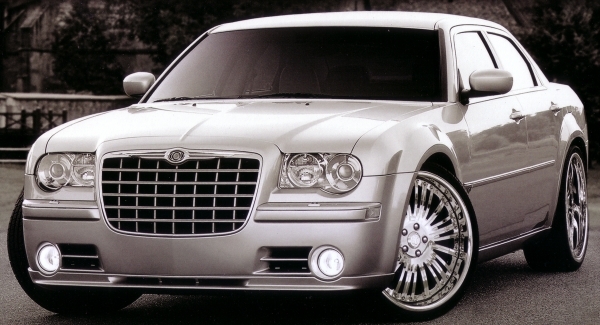 Priced between the HSV and FPV rivals at $71,990, Chrysler hopes the 300C SRT-8 will sell 250 a year. The 300C SRT-8 has a 6.1-litre HEMI V8 with 25 per cent more power than the 5.7-litre HEMI in the 300C. The 317kW/569Nm SRT-8 has more power and torque than either of the HSV or FPV competitors, the HSV Senator or FPV GT-P. The SRT-8 has a five-speed automatic gearbox and the largest set of wheels in its class with massive 20-inch alloys. It is the second SRT car to go on sale in Australia following the SRT version of the Crossfire launched in July last year. The SRT-8 has Brembo brakes and calipers and even has the traditional HEMI orange-coloured engine block. It has SRT-8 badges on the sports seats, sports steering wheel and shifter, instrument cluster and door trims. It also has a 13-speaker audio system with 322-watt amplifier and 100-watt subwoofer. On the outside SRT-8 badging distinguishes the high-performance model along with different bumpers specially designed to duct air to the brakes, and a bootlid spoiler. Chrysler says the SRT-8 can sprint to 100kmh in the mid-five-second bracket. The SRT-8 is available in only three colours: grey, black and silver.